Babuyan Island is the 3rd largest of the Babuyan Islands (Calayan, Camiguin, Dalupiri and Babuyan Island) of Calayan Municipality. On this island, there is no ATM (bring cash), no GLOBE signal (use only SMART and SUN sim card but hard to find) and no wifi. Electricity comes from solar cell and on limited use only. No Convenience stores. Sunset takes place on the side of Smith Volcano. No white sand beach, only black sand and rocky shores. There is only a special boat trip from Calayan Island and irregular schedule from Sta. Ana. Return special boat trip costs PhP7,000 for a 4hr ride (around 4pax for a small fishing-boat). 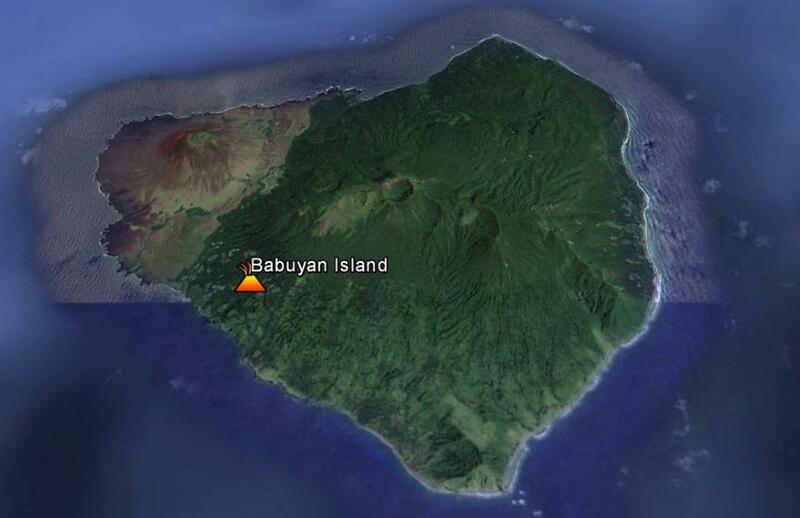 The highlight or best scenic spot of untouched Babuyan Island is the Smith Volcano (Mt. Pokis). But before we set foot to Babuyan Island we were on the boat for almost 7hrs (4hrs Calayan-Babuyan and 3hrs circumnavigating Babuyan) due our boatman didn't know that Babuyan is a big island to navigate. We encountered scary big waves surrounding the island which is normal on a clear weather as we are facing the Pacific Ocean. Smith Volcano (Mt. Pokis / 688masl) is located around 2km west of the center-town and in-front of a Babuyan-Claro Volcano (live volcano / 1,080masl) with higher elevation. Smith Volcano (Mt. Pokis) is hike-able on half-day tour provided the local guide exactly knows where is the right trail from the base up to summit. What I did on our afternoon tour was I aimed to reach the summit faster than the guide's estimation while my friends just want to have a background picture and sunset viewing. From the village, my first-time local guide and I reached the Smith Volcano base at around an hour. Since we both don't know where is the right trail going up, we just go where our foot led us in race against time. I ascended only around 80% of the volcano's elevation due to it was already on sunset at 5pm. I decided to back-off as trail for me was getting very difficult; moving soil and spiky stones on a very steep ascend with huge boulder that made me stopped to move forward. We went back to the village already dark at 7pm.